A vehicle for capital-efficient investment in and management of emerging biotechnology opportunities in New York that was formed by a syndicate of top-tier venture capital investors and supported by a consortium of world-class research institutions. Provides corrections systems with secure, ruggedized tablets and education content to improve prisoner rehabilitation and re-entry and to reduce recidivism. Company developing a prosthetic device to treat blindness. Spun out of Weill Cornell Medical. Headquartered in Brooklyn Heights, a nationally recognized urban history center dedicated to preserving and encouraging the study of Brooklyn’s 400-year history. Biotech company that spun out of Weill Cornell that leverages predictive analytics and genomics to create products focused on the treatment of infertility and proactive fertility management. Provider of a cyber security system which can detect and stop millions of individual attackers without degrading network performance. Pre-clinical stage company developing novel therapeutics for the treatment of metabolic and fibrotic diseases. Early-stage technology company providing a messaging system that improves coordination of care among hospital staff. Develops software that automates understanding and analytics for unstructured data such as emails, documents and social media. Provider of a technology platform to manage large datasets from multiple sources across a variety of formats. The Company links a client’s private data with Enigma’s own database of billions of data points from 5,000+ domestic and international public sector sources. Initial customers are in financial services and pharma. Biotech company engineering stem cells into anatomically precise and patient-specific bone tissue replacements. Provider of outsourced delivery solution to restaurants that aggregates deliveries in a given geographic area and optimizes the routing of delivery personnel. Nonprofit, managed care organization providing health care for homebound Medicaid recipients with severe disabilities. The ICS’ target population is a labor-intensive niche that larger competitors choose not to serve. A white-label intelligent virtual personal assistant that makes it dramatiaclly easier for consumers to access mobile banking on the go. Located in the Brooklyn Navy Yard, King County Distillery is the first whiskey distillery to operate within New York City since Prohibition. King County Distillery makes handmade, organic corn-based moonshine and bourbon. King County Distillery also operates the Gatehouses, a year-round tasting room and visitors’ center at the Navy Yard. Kinnos is an early-stage health care company located at the SUNY Downstate biotech incubator in Central Brooklyn. Its core technology is an additive that improves surface disinfection in health care settings. Kinnos developed its initial product prototype in 2014 as part of Columbia University’s Ebola Crisis Design Challenge. Life sciences company developing a discovery platform for small molecules derived from natural products to treat cancer, infections and diabetes. Spun out of Dr. Sean Brady’s lab at Rockefeller University. Magnolia is a pre-clinical stage company developing the therapeutic potential for a lead dual leucine zipper kinase inhibitor (IACS-8287) in neurodegenerative diseases such as Alzheimer’s disease and amyotrophic lateral sclerosis and neuronal injuries. The technology spun out of the labs of Drs. James Ray, Philip Jones and Giulio Draetta at MD Anderson Cancer Center. Located in the Brooklyn Navy Yard, New Lab is an 84,000 square foot collaborative design and fabrication workspace, bringing together a community of designers, entrepreneurs, corporations and academic institutions focused on design, prototyping and advanced manufacturing. Provides loans to small businesses in New York state in need of financing that do not meet the requirements for traditional financing. Loan recipients include start-ups, mature businesses and minority- and women-owned companies. World-class hub for genome sequencing, analytics, bioinformatics, high-performance computing and tranlational research—located in downtown Manhattan. 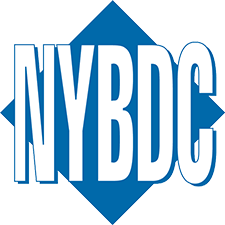 The creation of NYGC was speared by all major academic research institutions in New York City. Petra is developing small molecules for the treatment of cancer and metabolic diseases. Spun out of Dr. Lewis C. Cantley’s lab at Weill Cornell Medical. Early-stage, bio-pharmaceutical company which develops immuno-therapeutic drugs targeted at breast and colon cancer. Located in Harlem, Red Rabbit provides healthy breakfast, lunch and snacks to NYC charter, private, preschool and after school programs, approximately 75 percent of which serve low income children. Proceeds from financing enabled RR to build out a new 2,000 SF finishing kitchen in Brooklyn. Developer of anti-aging cosmetics and therapeutics for DNA damage-related skin aging and disease. Early stage, pre-clinical oncology therapeutics company. Spun out of Dr. Masoud Tavazoie’s lab at Rockefeller University. Recycle Track Systems (RTS) is a waste and recycling management provider that offers custom solutions to make disposal easier, smarter and more responsible. Media services, marketing and logistics company which provides professional Disc Jockeys (DJs) for corporate, hotel/resort, consumer and retail in-store clients. Scratch also operates DJ Academies. Shapeways has set out to redefine product creation. It is a platform that enables the full creator experience through design, making, and selling—born out of its consumer 3D printing service, the largest in the world. Spring Health is building a mental health provider network that uses machine learning algorithms to improve speed and accuracy of mental health diagnosis/treatment for patients. Its current network consists of 170 therapists and 30 physicians. Biotech company developing “heart-on-a-chip” tissue models for both toxicology and drug discovery applications that spun out of Columbia University. Provides the valuation and risk management tools to unlock investment opportunities for hundreds of billions of dollars of capital to slow into renewable energy assets. Developer of a new regulated exchange for interest rate swaps (IRS) and credit default swap (CDS) indices to address new requirements under Dodd-Frank that will make it illegal to trade standardized swaps outside of regulated exchanges. Developing live attenuated influenza vaccines (LAIVs) to address the most pressing public health issues of influenza: the need for a rapid and effective response to emerging pandemics with vaccines that are easily administered, safe and protective, and the need for vaccines that protect the most vulnerable populations—seniors and young children—against seasonal influenza. Early-stage tech company offering language learning services online and through mobile applications—its initial focus is teaching English to native Spanish and Portuguese speakers. Voxy takes content from news articles, social feeds, text messages and Internet sites and turns them into language lessons, which the user can access directly via mobile device, email, text message and web. Wellth is building a digital health platform to improve adherence to care plans for patients with chronic conditions by using financial incentives and behavioral economics strategies. Wellth is a graduate of the 2015 Digital Health Innovation Lab.